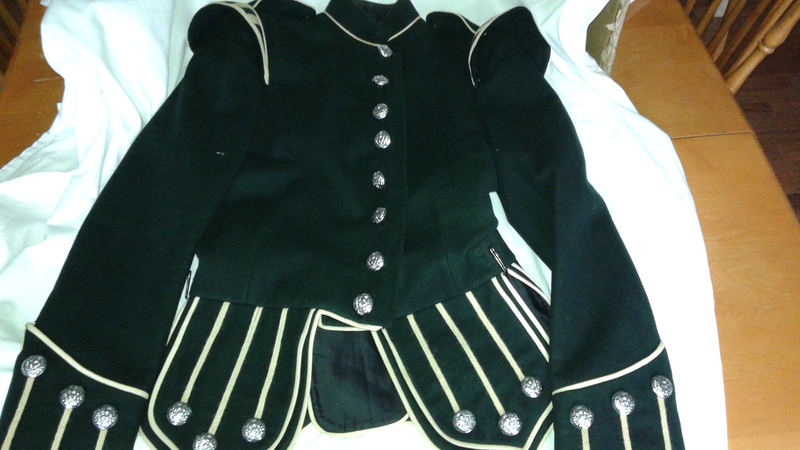 Excellent quality Pipers Doublet with musicians wings. Excellent condition. Missing two buttons for the shoulder boards but I have them so just need to be reapplied. 100% wool. Approximate size 32.